When you need to access your data fast our Budget Corporate Pen USB Keys are the perfect option. Ideal for university students, office workers and anyone on the move our USB Pens not only store your files, they are fully functional writing instruments as well! 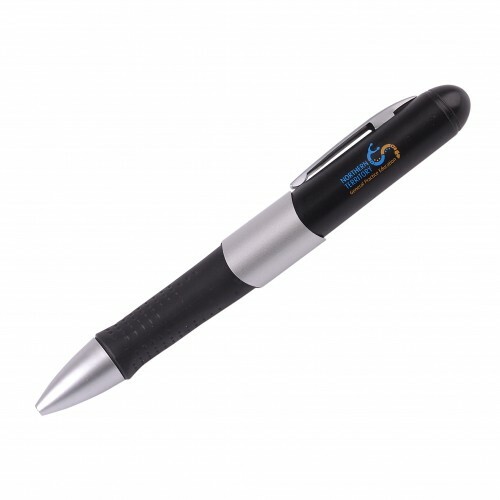 Your recipients will love having a smooth writing ballpoint pen with a USB memory drive hidden within its barrel. The finishing touch is our custom branding of your logo directly onto the USB Keys using pad printing. 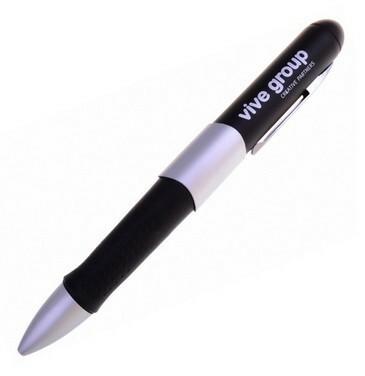 Your new promotional USB pens are bound to be a hit with anyone who receives one! Prices quoted are inclusive of a 1 side logo printing in up to 3 colours. There is not additional set up cost for these products. Laser engraving is also an option for this style, just let our friendly sales team member know that this method interests you upon your enquiry. Your data can be uploaded to the printed flash drive for free for up to 150MB. These items are packed in individual polybags and we offer optional accessories to enhance your item including a magnetic gift box/ tin case/ PVC clear case/ mini lanyard/ long lanyard/ key ring and velvet pouch. This branded item comes in different memory sizes to choose from including 1GB, 2GB, 4GB, 8GB and 16GB. These flashdrives are available to order from 50 units. We cannot fulfill orders below this minimum. Our branded USB flash drives take 2 weeks in production from when you approve your artwork. Urgent services are available, but not for this particular USB style. For express turnaround time printed memory, the styles and memory capacity is limited. We deliver these stylish USB units Australia wide including: Sydney, Melbourne, Brisbane, Canberra, Adelaide, Perth and Hobart. 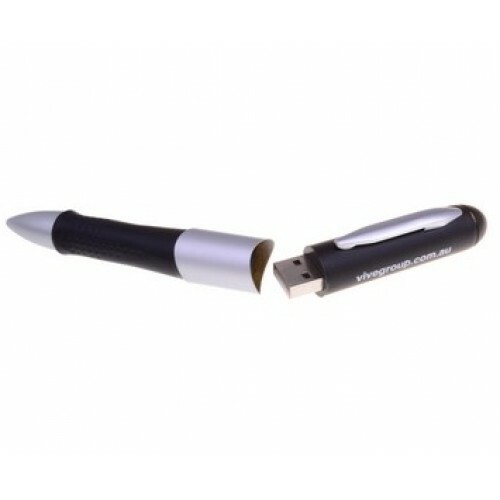 This USB pen is made of metal and comes in Silver/Black colours only.